Sensory play is a wonderful way for your child to develop and learn. Sensory play is a great way for your toddler to work on early childhood development. They will learn to use their senses in a variety of ways and help their brain development while having fun. Toddlers love to explore so let them use their senses to explore the things around them and begin to work on skills and understanding things around them. Sensory play is all about learning how things work, textures, smells, discovery, examining what is in front of them, and really learning in all aspects. If you put a sensory bin in front of them that is full of soapy water with some toys and measuring cups they can learn so much. When they touch they feel it is wet, the bubbles pop when they get touched, and the list goes on. Then they experiment as they take the cup and dump the water out what happens? A simple activity like water in a bin with toys can bring on a whole new level of learning and experiment with your child. Just have a towel handy, as it could get a little messy! 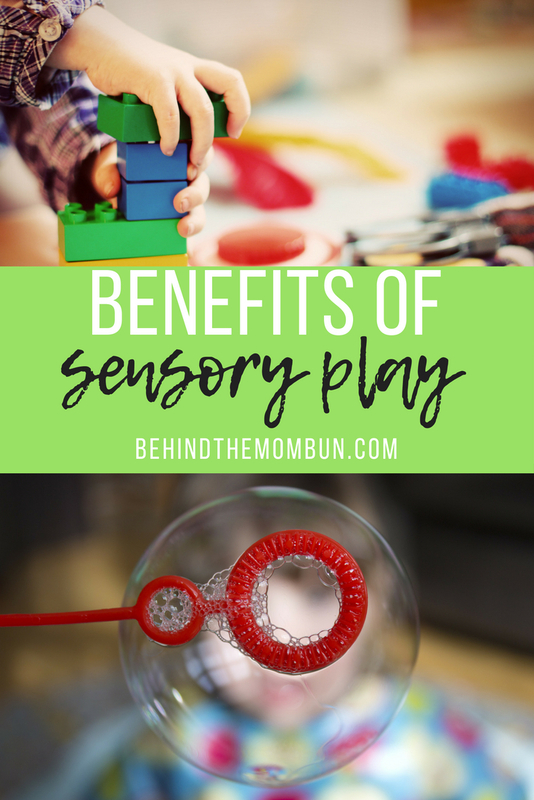 Let me help share all the benefits of sensory play in your toddler. I will also share ways you might want to sit down and play with your toddler and help work on letting them learn and try new things. Sensory play is great for helping your child learn and develop the fine and gross motor skills, working on problem-solving, cognitive growth, language development, and even social skills. When you allow your child to take part in a sensory play they learn and experiment and can learn scientific thinking. If they hit their hand or drop a toy in the water it splashes. After a few times doing it they learn what the end result will be if they drop the toy. If your child tends to be anxious often sensory play is a great way to calm them down. They can focus on a what is in front of them and it helps calm their whole body down. Sensory play can really help boost memory in your child. They learn how to decipher things like hot, cold, wet, dry, etc. Your toddler can learn to put their focus on what they are doing at the moment and block out other noises going on around them. It also helps in building nerve connections in their brains. Mixing Paint together to form a new color. Creating a sensory pin with like toys and dry pasta, colored rice, etc. Letting them play with ice cubes and watching them melt. Letting them wash their toys in the tub or sink. Take an old water bottle and fill with water, food coloring and glitter and sealing it up. Create a sensory board for them. The possibilities are truly endless, and you will have fun playing with your child as they learn! 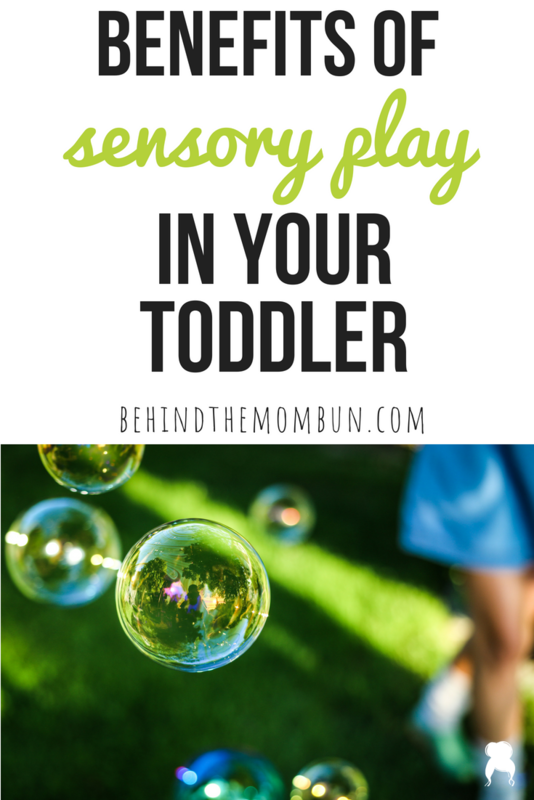 The post Benefits of Sensory Play in Your Toddler appeared first on Behind the Mom Bun.